I'm Alice Seba and I've been publishing private label rights content since 2006. 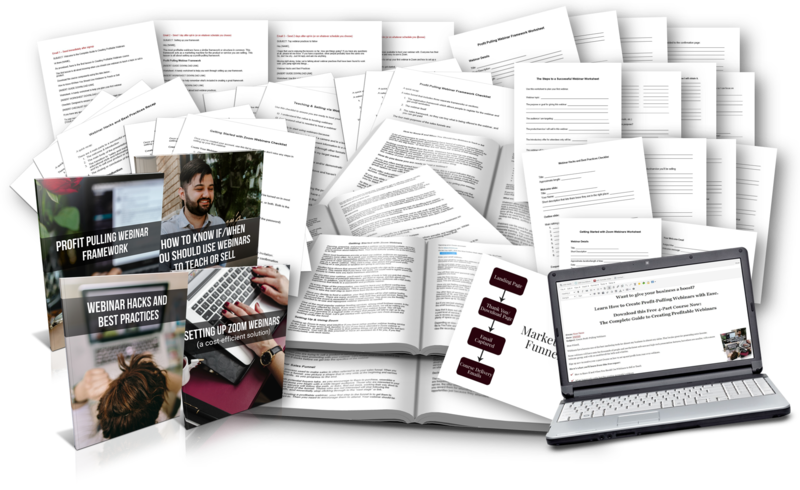 I'm pleased to announce our “Complete Guide to Creating Profitable Webinars” ecourse that will teach your readers the many benefits of using webinars in their business. It's a brand new, never-before-released ecourse for you. 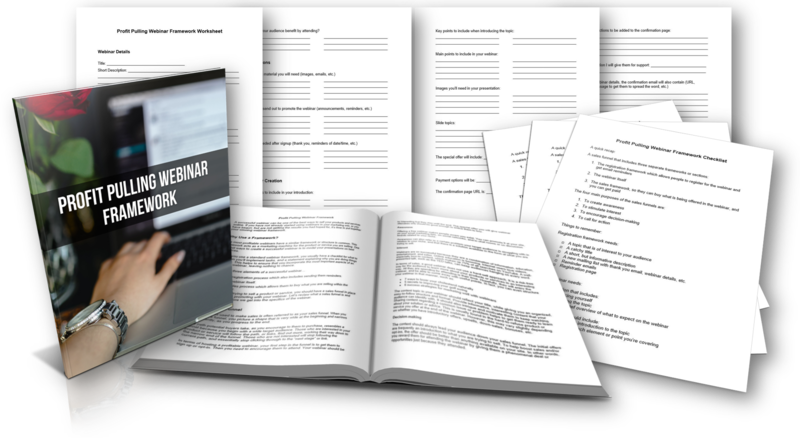 4 Business Guides: You get 4 instructional guides (.doc) that teach your readers step-by-step how to create profit-pulling webinars. 4 Worksheets: You get 4 worksheets (.doc) that accompany each one of the reports so your readers can stay on track while planning and organizing their webinars. 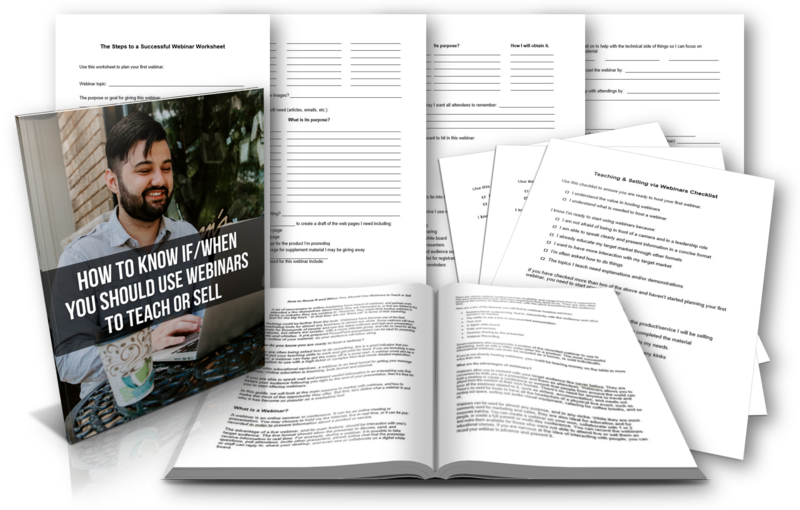 4 Detailed Checklists: You get 4 checklists (.doc) that will give your readers a summary of all the steps they need to take to create their webinar offer based on the 4 reports. If you are often being asked how to do something, this is a good indication that you should put your teaching skills to work and get paid for them. If you are launching a new product, a webinar can help get the sales off to a great start. A webinar would also be a great option to use with a high-ticket or complex item that needs a detailed explanation. You also get a detailed checklist (1 pages / 204 words) to help your readers determine if they're ready to host their first webinar. 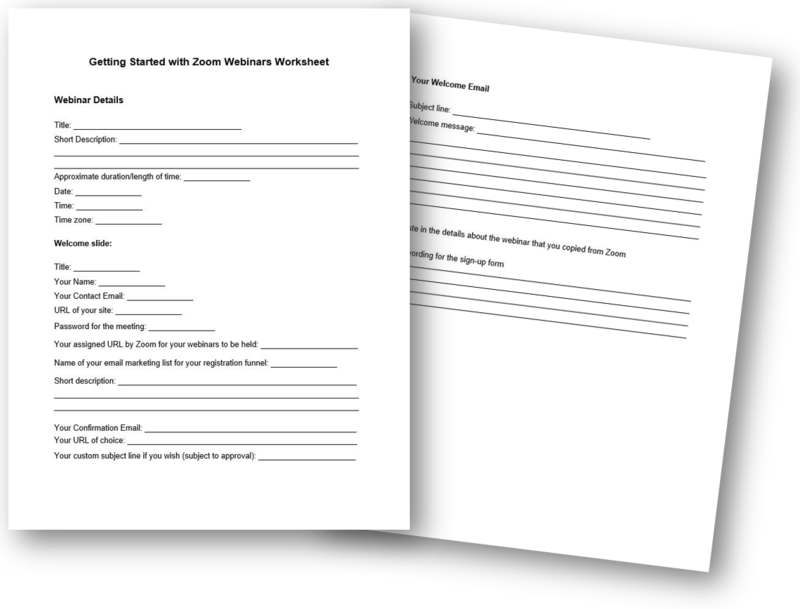 You also get a detailed planning worksheet (4 pages / 462 words) to help your readers plan their first webinar. The most profitable webinars have a similar framework or structure in common. 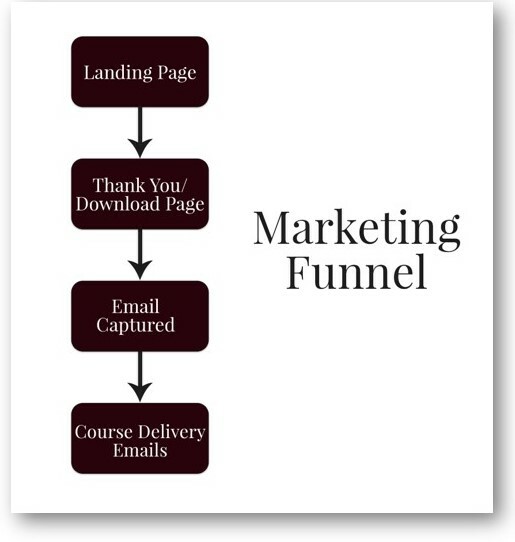 This framework acts as a marketing machine for the product or service you are selling. One of the best ways to create a successful webinar is to model your presentations on best practices. 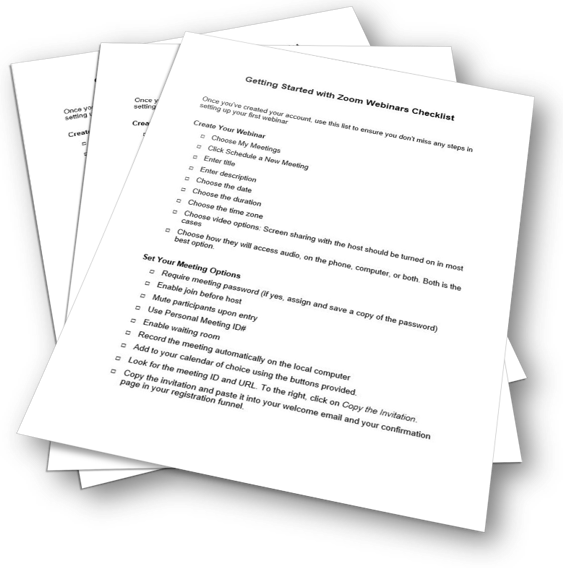 You also get a detailed checklist (2 pages / 414 words) to help your readers get started with webinars. 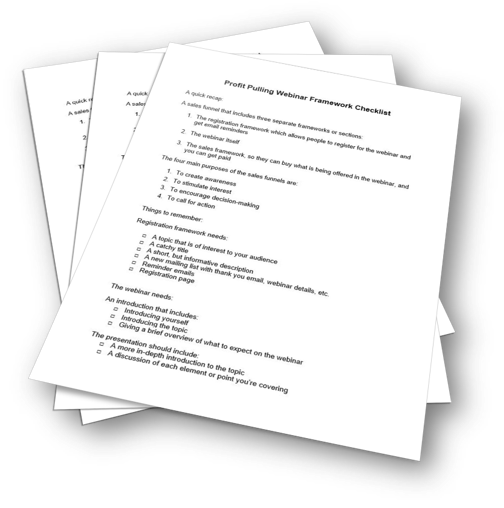 You also get a detailed planning worksheet (4 pages / 310 words) to help your readers create results-oriented webinars. We have divided the hacks and best practices into several sections to help you plan and implement the suggestions, in a logical order, which in this case, is the 4 main parts of a standard webinar. Your webinar structure may be slightly different; however, mix and match these best practices and sound strategies to meet your unique needs. 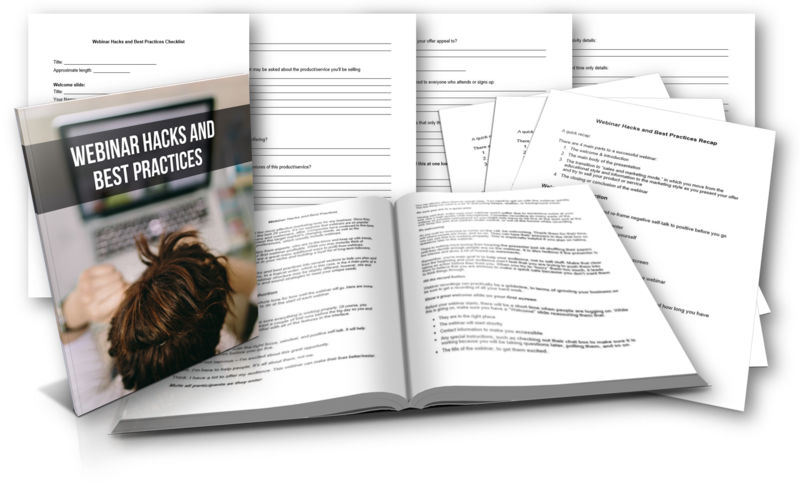 You also get a detailed checklist (3 pages / 561 words) to help your readers track the best practices for their webinar. 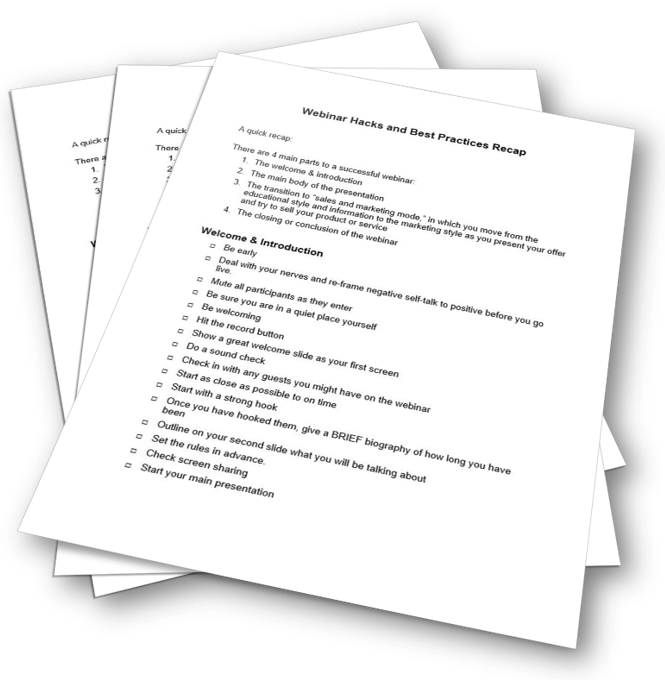 You also get a detailed planning worksheet (4 pages / 287 words) to help your readers plan and prepare for their webinar using best practices. Once you decide to host a webinar, your first decision will be what webinar hosting service to use. There are many available, with both free and paid services. Being able to record the event is essential to your overall success. 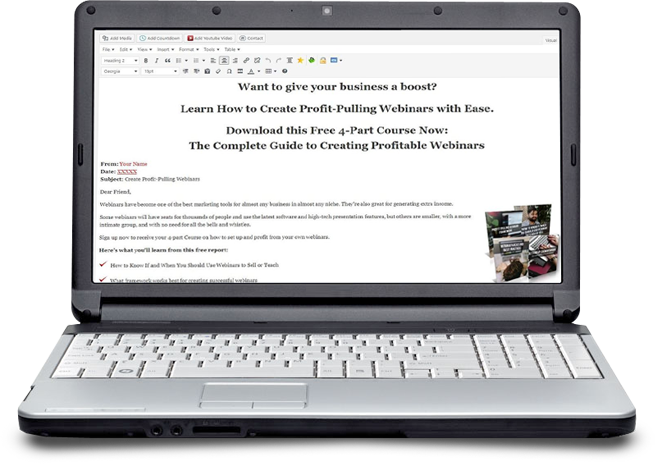 This gives you the flexibility needed to re-use and re-purpose webinar elements as needed. 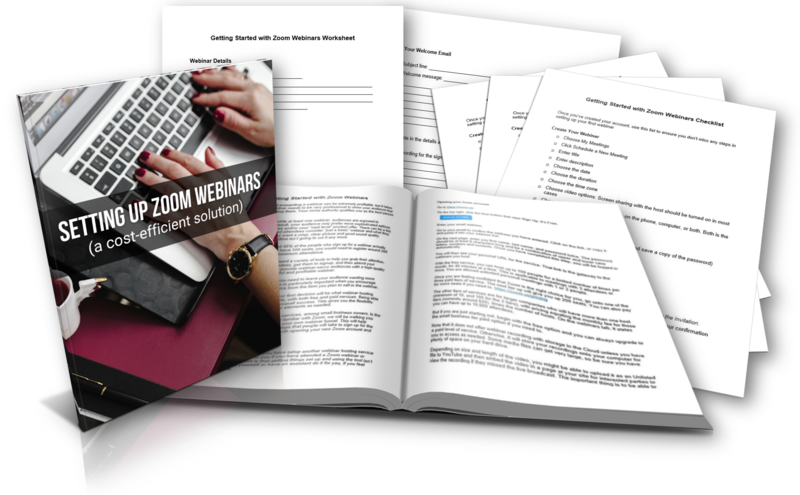 You also get a detailed checklist (4 pages / 741 words) to keep your readers on track as they set up their first Zoom webinar. You also get a detailed planning worksheet (2 pages / 134 words) to help your readers plan out the set up of their successful webinar.